The blank slate. 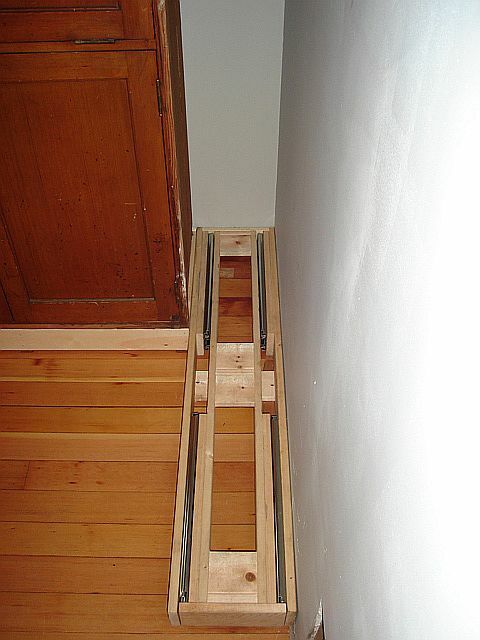 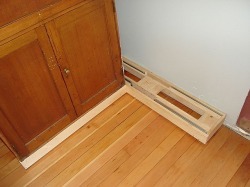 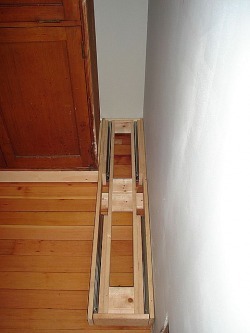 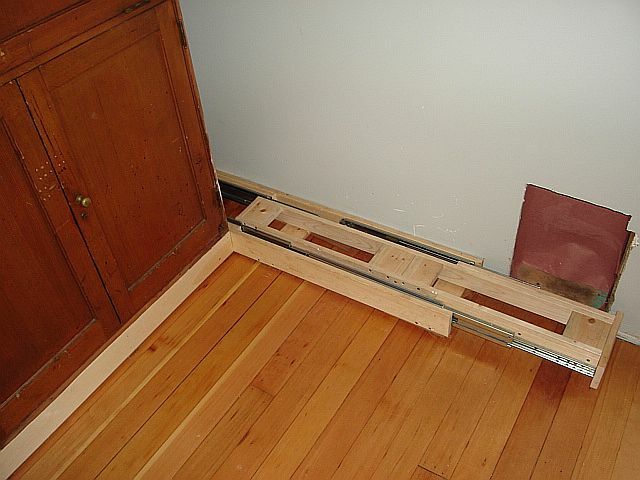 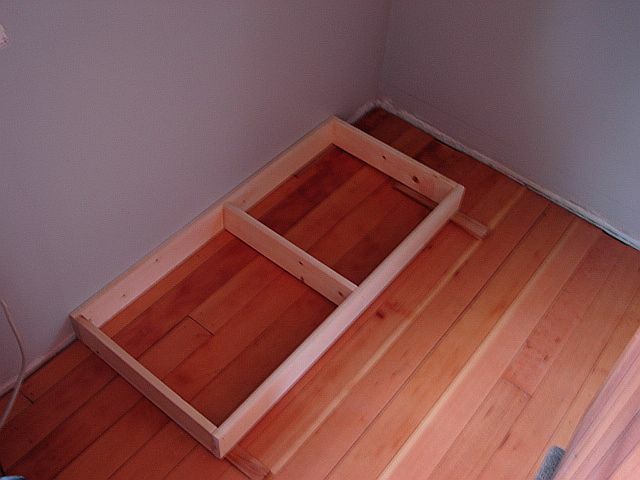 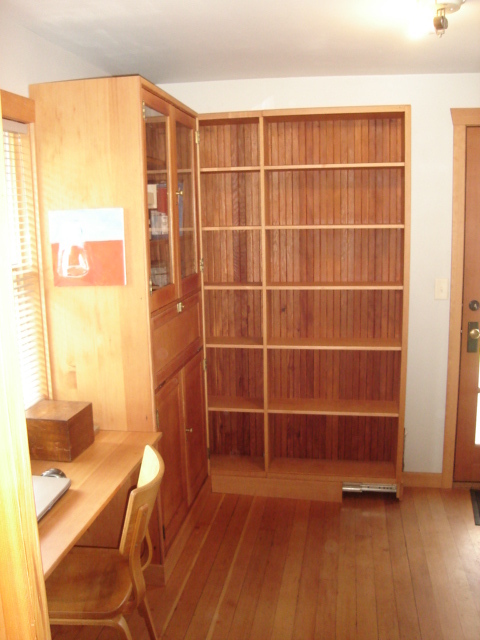 This corner will have a built in cabinet and a moving bookcase, allowing access to the difficult to utilize corner space. 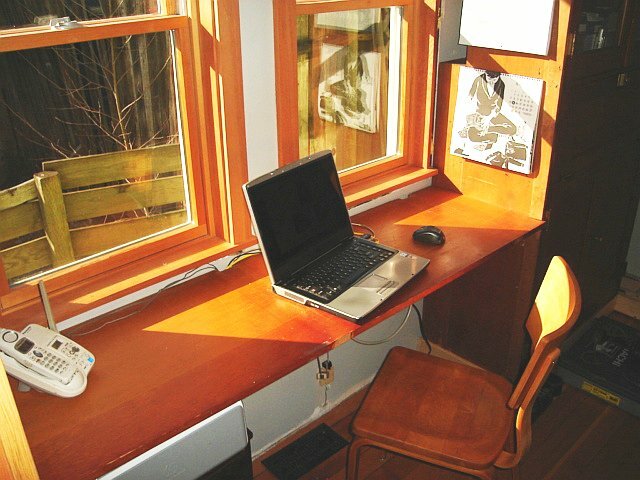 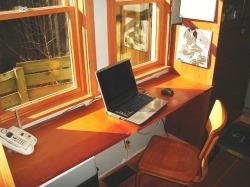 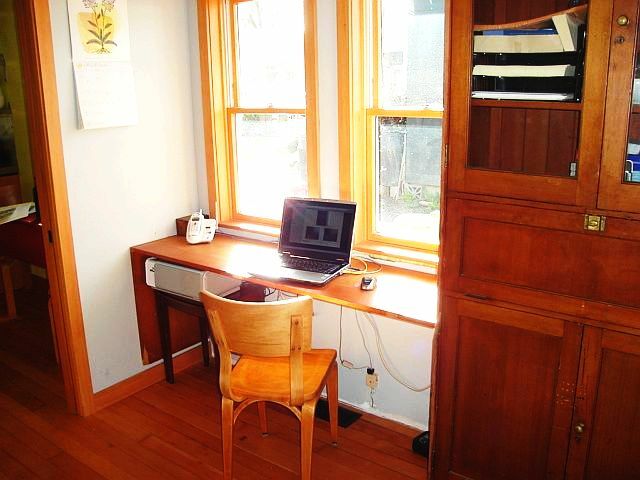 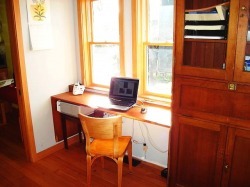 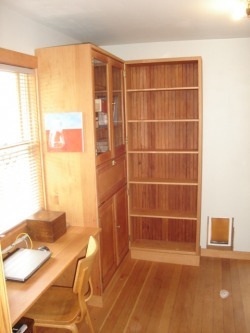 A built in desk will go to the left of the cabinet below the windows. The base installed and shimmed level. 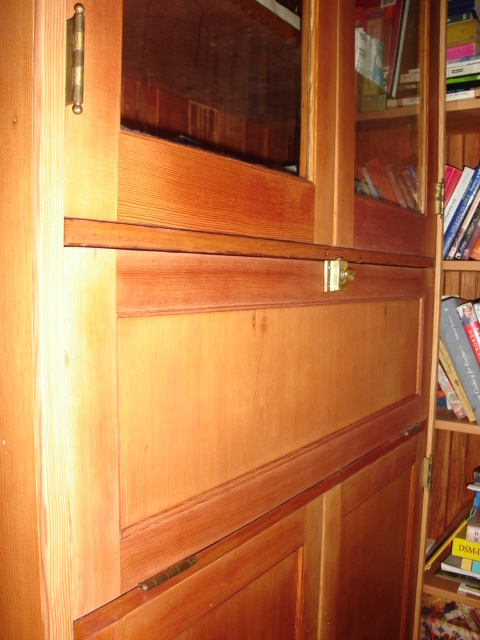 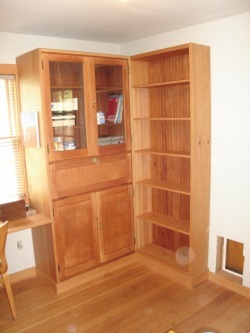 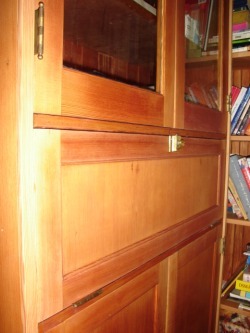 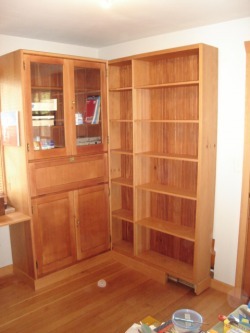 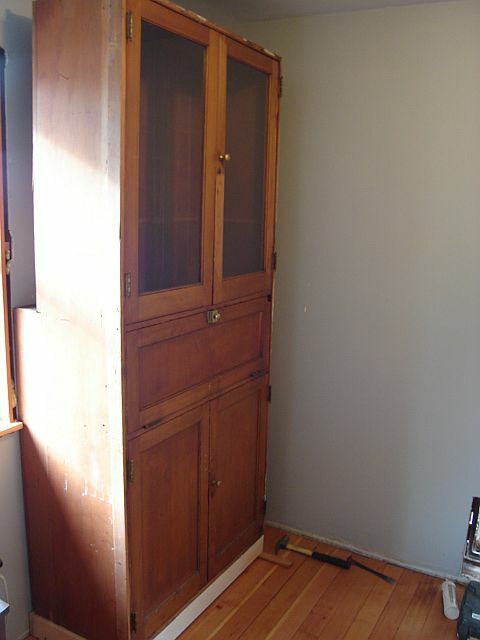 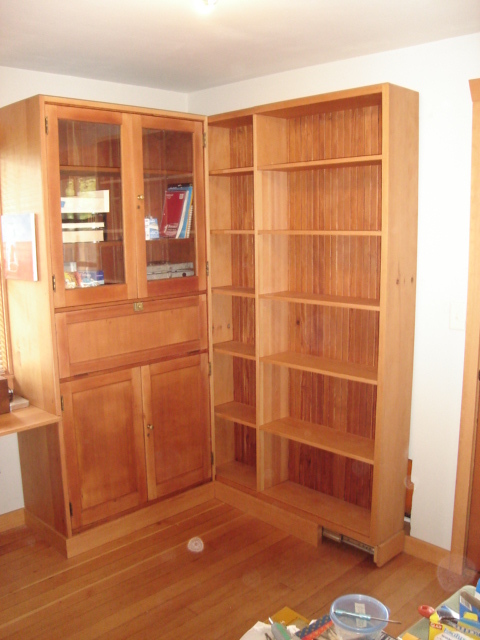 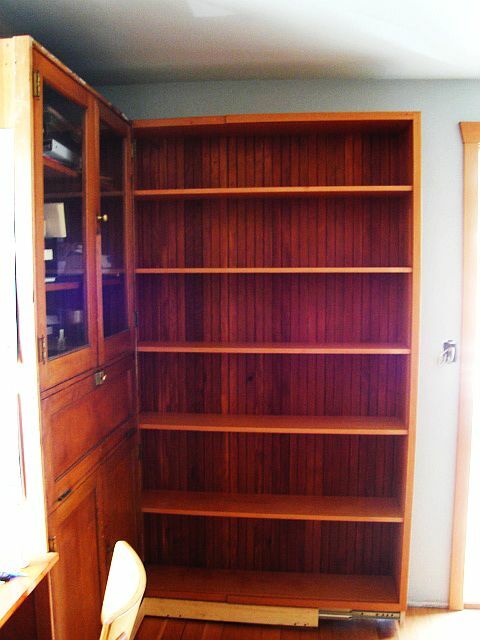 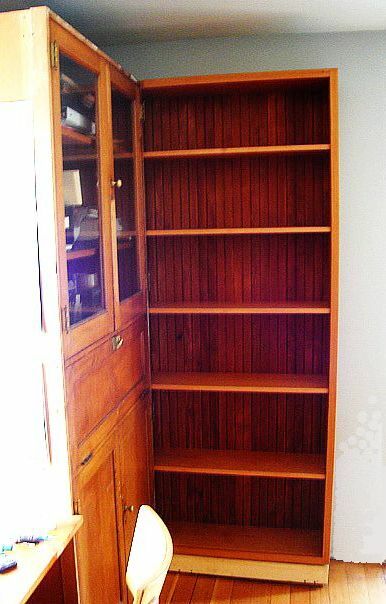 This cabinet came from Garfield High School in Seattle. Here we can see the cabinets much further along. 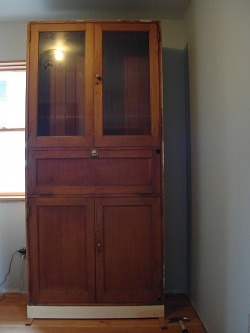 The doors refinished, baseboard, face trim and end panels installed. 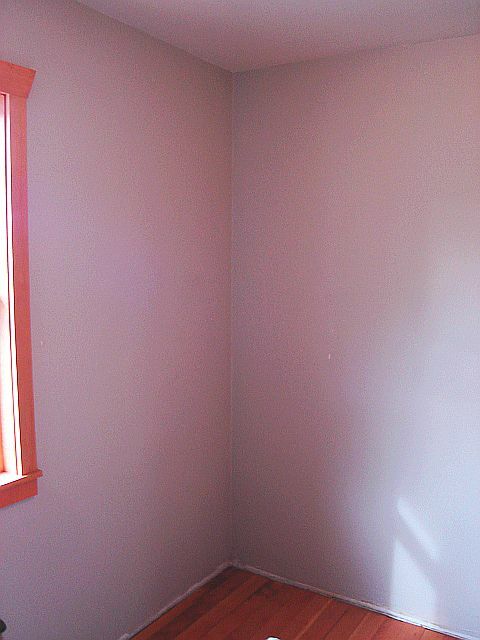 Just a few sheetrock- touch ups and this room is done!